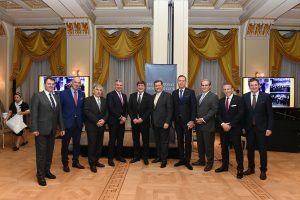 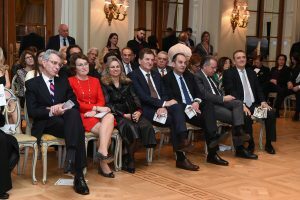 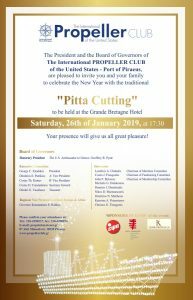 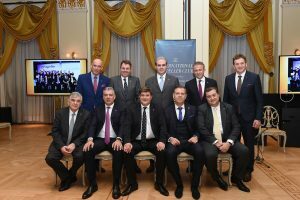 The International Propeller Club of the U.S., International Port of Piraeus, held its traditional Annual Pitta (Cake)-Cutting for 2019 at the Grande Bretagne Hotel in Athens, Greece, on Saturday the 26th of January 2019, to promote Maritime Relations, Commerce, Goodwill and Cultural relations betweencitizens of Greece, the U.S. and all other countries represented by their members. 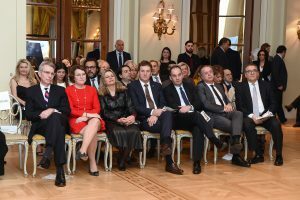 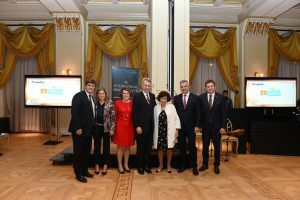 The event was very well attended by distinguished guests among which the U.S Ambassador to Greece Geoffrey R. Pyatt. 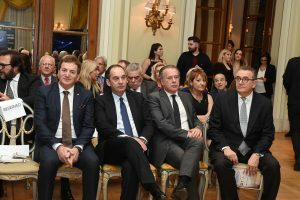 During the ceremony, scholarships by Propeller Club of Piraeus were given to meritorious students of maritime academies, as well as to students of universities and colleges pursuing maritime studies were awarded, in conjunction to donations to selected charities which have demonstrated both respectable and remarkable actions through time.